Please welcome this wonderful creation into existence. For the funfetti layer, it helps to blend it in magic bullet to blend the beans instead of just mashing it in a bowl. Spray a 9Ã—9 dish with nonstick spray. Pour half of the brownie batter along the bottom. 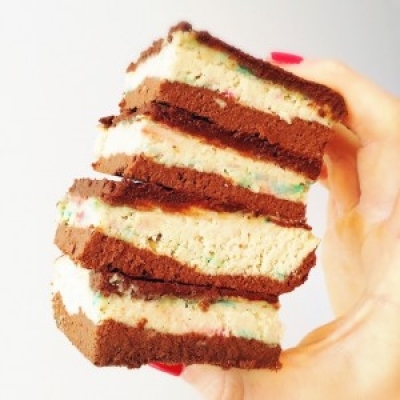 Then spread the Funfetti layer on top. Then spread the remaining brownie batter on top. Bake at 350 F for 25-30 mins. Remove, let cool, and cut into 12 slices! Theyâ€™re amazing after theyâ€™ve been refrigerated.